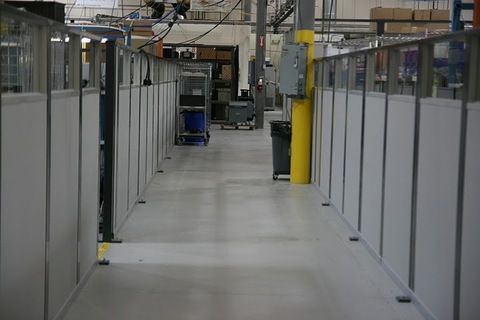 Dividing plant space into manufacturing cells with wall partitions creates defined areas while still maintaining one large space. 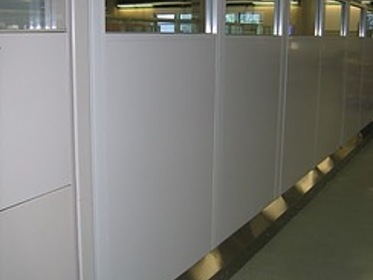 Using wall partitions instead of fully constructed walls enables facilities to maintain existing HVAC and lighting systems yet keeps individual areas contained. 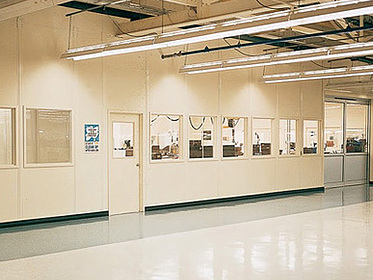 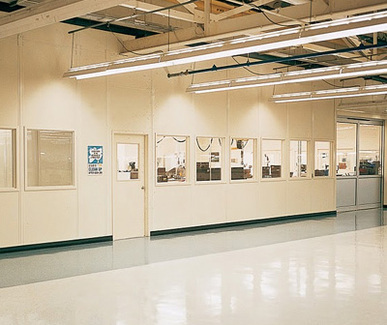 Industrial wall partitions need to meet the industry standard of 5 lbs per lateral load for walls over 60 inches. 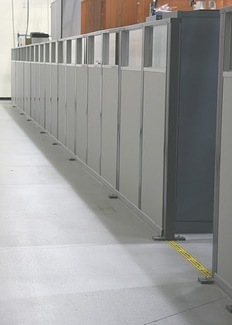 Many commercial partitions do not meet these load requirements. 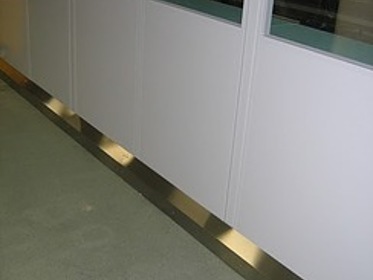 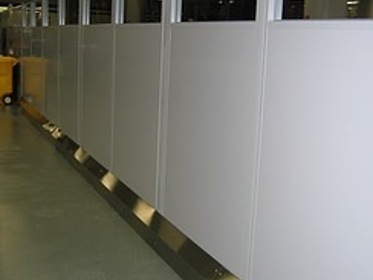 Also the materials used in commercial panels such as cloth are often not as fire retardent as desired for manufacturing, assembly or other manufacturing facilities. 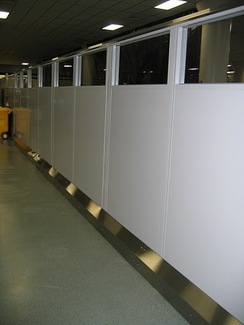 PortaFab's wall partitions can be customized to be all steel or Fire and Sound partitions. 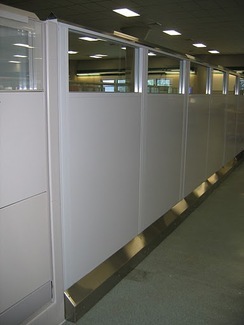 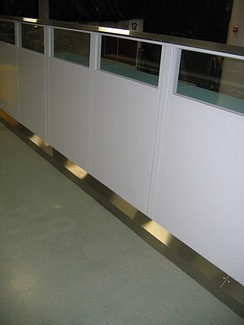 These panels are designed to stand up to the conditions present in an industrial facility. 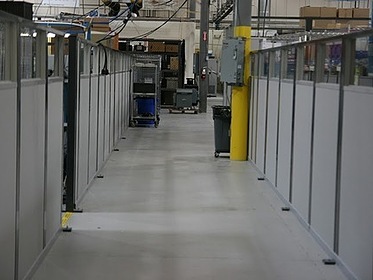 Meeting loadbearing requirements, PortaFab's free standing wall panels use a steel support system that does not need to be connected to existing walls.